Every one of us dreams of a perfect wedding: the location has to be unique, the photographs perfect, the reception unforgettable, and the service impeccable. The Opatija Riviera is the place that satisfies all these requirements, and we at Liburnia Riviera Hotels will do our best to meet all additional wishes to the satisfaction of the bridal pair and guests.Visit the Opatija Riviera - a perfect setting for your destination wedding in Croatia! 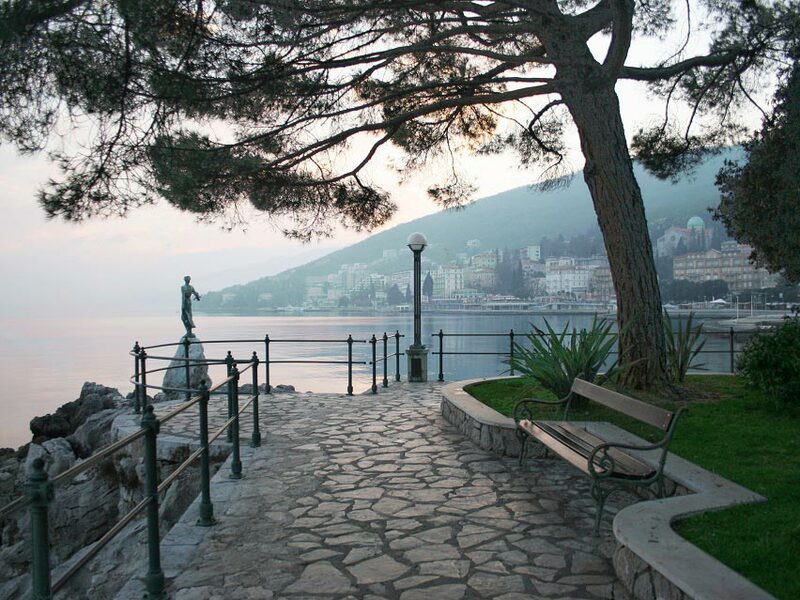 The centre of the Riviera is Opatija, the cradle of Croatian tourism, a town distinguished by a special elegance. Opatija is renowned for its fine hotels, manicured parks, unique Lungomare seaside promenade, abundance of indigenous and exotic vegetation, and famous visitors who have stayed here during more than 160 years of tourism. This is a town with a sophisticated elegance, and the romantic, well-tended parks and villas hide numerous love stories. This is very important when it comes to choosing the ideal destination for your wedding: elegant halls become the venue for the most important event in your life, the parks and promenades turn into an inspirational setting for fine banquets and receptions, and the high-class hotels provide excellent accommodation for the bridal pair and guests. And some of the most recognisable symbols of the town will become a unique background for your perfect wedding photographs. Let us meet some of them. 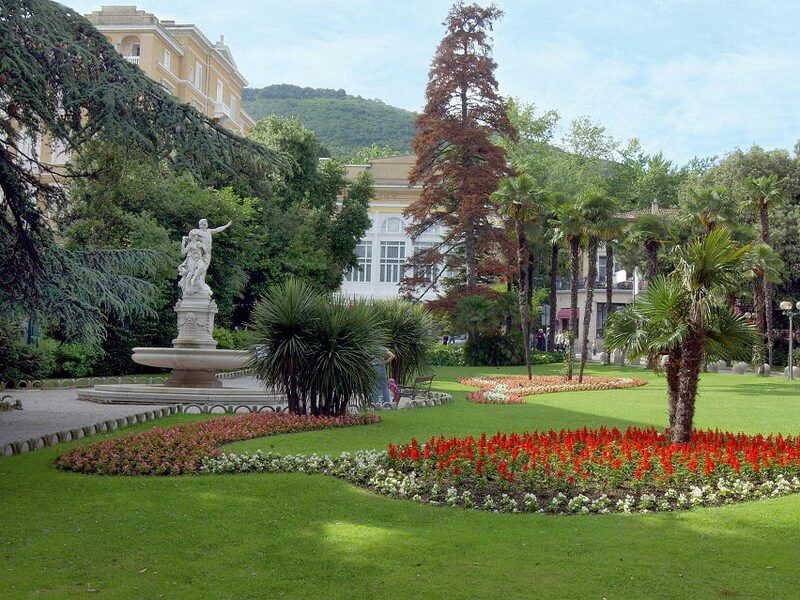 The construction of the Villa Angiolina is regarded as the beginning of tourism in Opatija, and the surrounding park with its beautiful specimens of indigenous and exotic plants, and the essential camellias (one of the symbols of the town), as well as the circular flowerbed in front of the villa, are favourite places for pleasant strolls and relaxation. Is there a more beautiful setting for your wedding photographs? 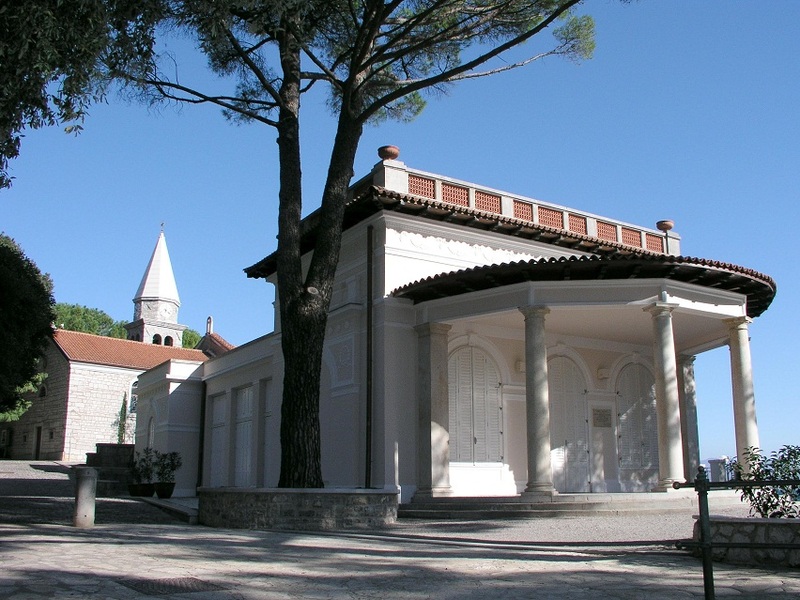 This church and the former monastery gave the town its name (opatija is the Croatian word for abbey). 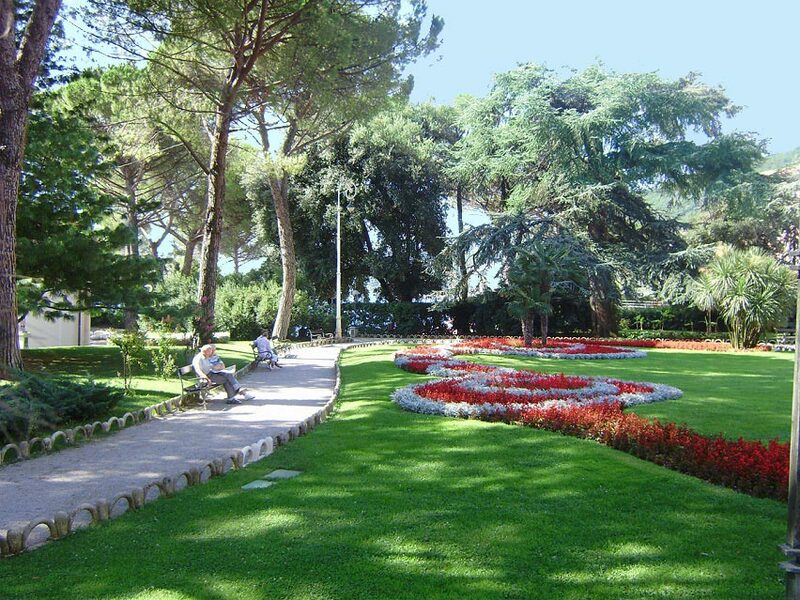 The park that surrounds the church, located in the immediate vicinity of the Hotels Kvarner and Imperial, has won several prizes as Croatia's most beautiful park. It's no wonder with its perfectly manicured lawn adorned with colourful flowers, palms and pines, magnificent cedar, and famous Helios and Selene fountain. It's also no surprise that many couples take their most beautiful wedding photographs in this park. Just a few steps from the Church and Park of St. James is Opatija's oldest mooring place, the quaint small harbour known as Portić. In the immediate vicinity are the Juraj Šporer Arts Pavilion, which regularly hosts a variety of interesting exhibitions, and one of Opatija's most recognisable symbols: the statue of the Girl with the Seagull, located on a rock above the sea. This is another enduring motif and a continuous source of inspiration for countless photographers. 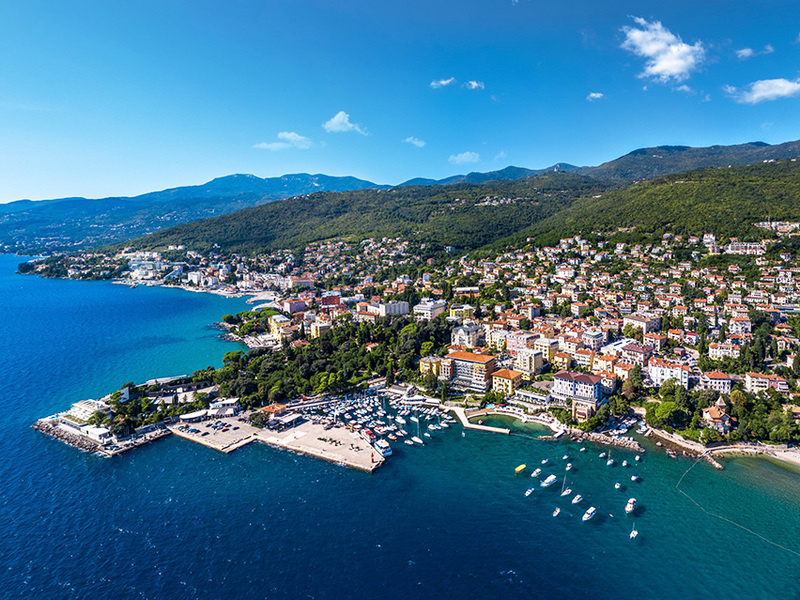 In addition to the parks, hotels and villas, one of Opatija's most prominent landmarks is the famous Lungomare seafront promenade, which stretches along the Riviera from the fishing village of Volosko via Opatija to the quaint ancient town of Lovran. This unique promenade has just celebrated its hundredth anniversary, and we can only guess how many romantic stories it hides. The Lungomare definitely deserves to become part of your own personal story. 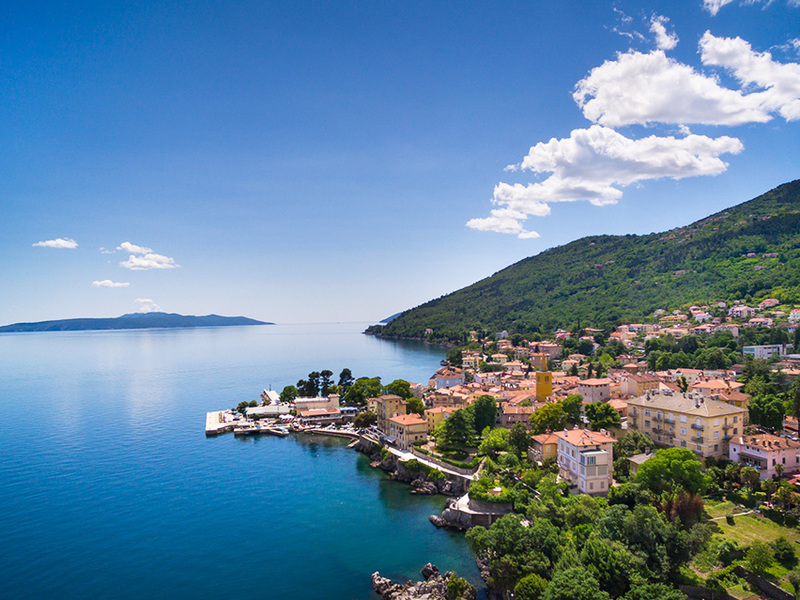 The Lungomare stretches all the way to Lovran, a town whose name comes from the laurel which grows abundantly in and around it. Two of our hotels, the Excelsior and Bristol, are located between the coastal promenade and the main street, which makes them easily accessible yet pleasantly quiet with a beautiful view of the sea. When in Lovran, do not miss the quaint old town with its distinctive narrow alleys and stone steps, and take a walk along the seafront promenade past the magnificent belle époque villas. We also recommend exploring the town's hinterland, a region known for the tasty cherries, asparagus and sweet chestnuts that inspired three of the most renowned traditional events in Lovran: the Asparagus, Cherry and Marunada Chestnut Festivals.